Microsoft Teams comes with Microsoft Office 365. Read setting up Microsoft Teams. For more info Contact Us. 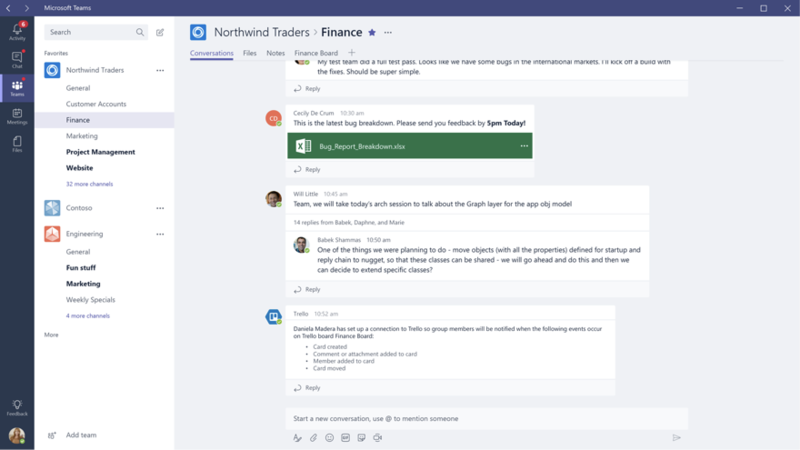 The Trello app for Microsoft Teams links your Trello teams to those in Microsoft Teams. 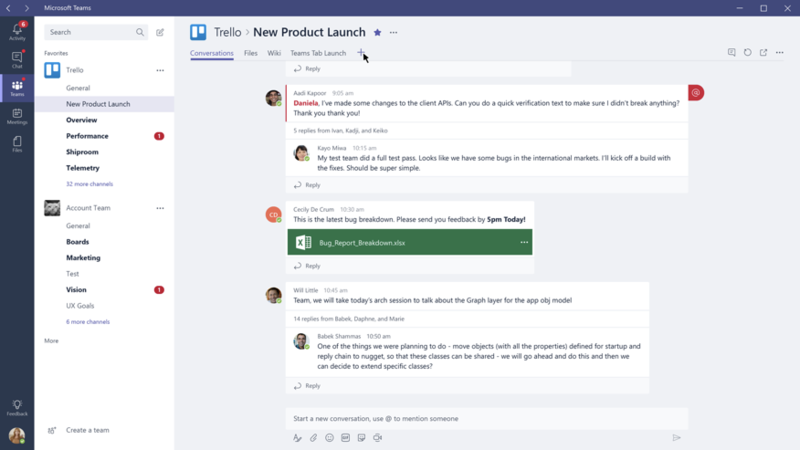 When you run Microsoft Teams, Trello is enabled by default and available to all your teams. If you find Trello is not available per the instructions below, contact your IT admin, as they may have turned off 3 rd party tabs. Tabs provide a dedicated canvas to see your team’s Trello boards, lists and cards. To add a Trello tab to a channel, select the channel, then click on the “+” sign to the right of the existing tabs. In the popup, select Trello from the list of apps, then click “Log in with Trello”. In the next popup, enter your credentials and click “Accept”. Once you do that, you can select the Trello board you would like to link to. Trello will create a new tab named after the board and the tab will contain the lists and cards for that board. Inside the tab, you can now interact with the board in the same way you would, had you logged in directly to Trello.com. Connectors enable you to get notified in Teams of changes to Trello boards and cards automatically. Just click on “…” next to the channel name and select “Connectors”. In the popup below, select “Configure” next to the Trello app. It will ask you to sign in to your Trello account. Confirm that you want to “Allow” Microsoft Connectors to use your account. Select the notifications you want added and click “Save”. Now when changes occur to your boards, lists or cards, Trello will notify teammates via the channel discussion. You can re-configure these notifications later by going through the same steps above.